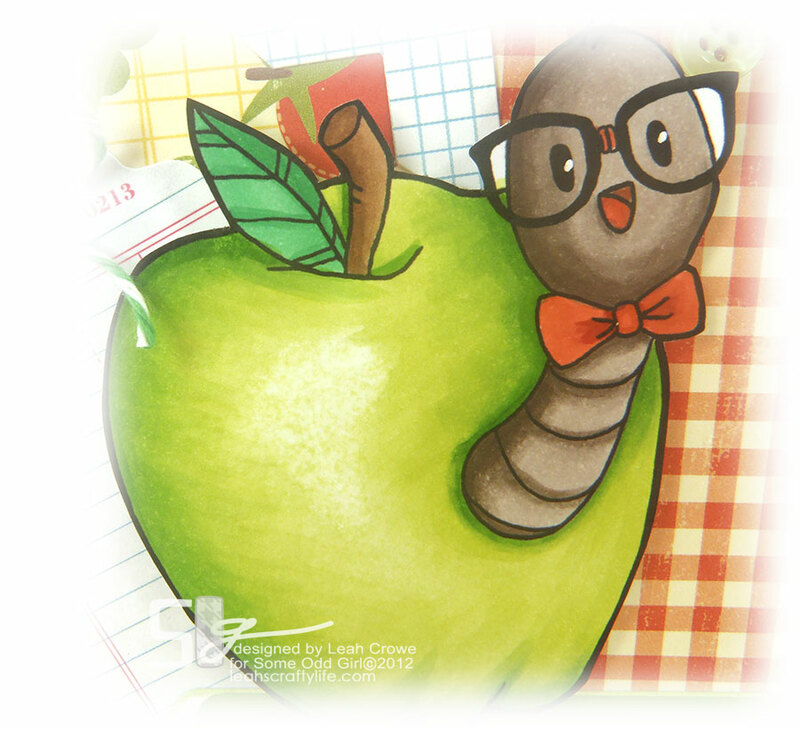 Leah's Crafty Life: Some Odd Girl - Nerdy Wormy! I'm going to JUMP right in... 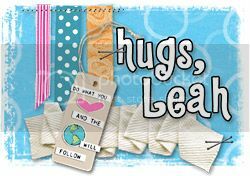 I have two posts for you today!! 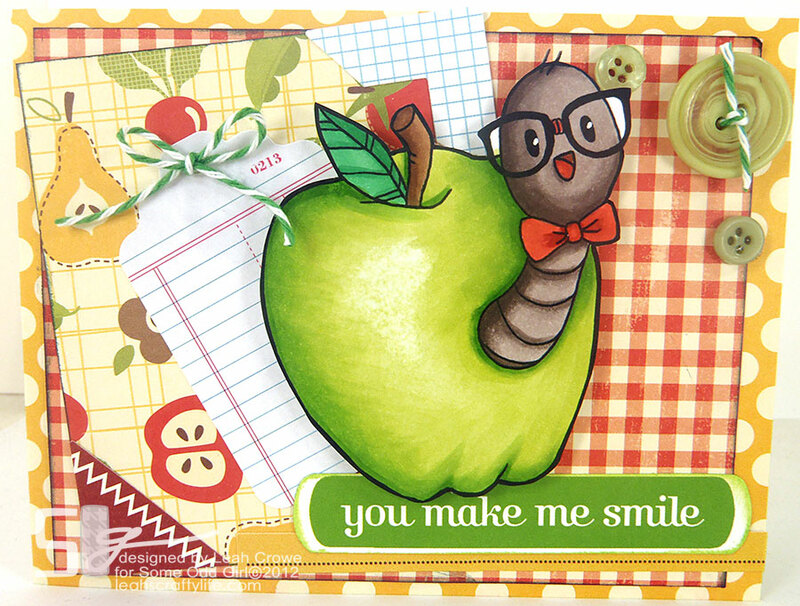 firstly.. with Some Odd Girl we are continuing on with the releases today with the cutest little critter who's taken up residence in my heart, meet Nerdy Wormy! I love the details from the tape on his glasses to the bow tie he's sporting! Head on over to the SOG BLOG to check out what my other design team pals made with Nerdy Wormy.. the apple work alone will amaze and delight!! I'll be back soon with another post today. he he he he!! oh he's way too cute!! I love his little glasses!!!!!! how fabulous is this! can't help but smile looking at that worm and your colouring is wonderful. The sentiment is perfect for the image. aww so adorable...totally love this card...little nerdy wormy is too cute..